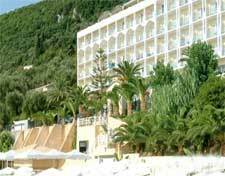 Covered by a green and calm scenery and just 20 meters from the beach this beautiful 4 star Corfu Hotel invites you to discover perfect contentment for your summer holidays. Experience the true essence of value for money with the All inclusive package offered at the Iberostar Regency Beach. The hotel will offer you a smorgasbord of culinary treats. But before you go straight for what you already know try some of the local cuisine that you wouldn't normally consider and enjoy the fresh Mediterranean flavors. In the daily grind of life we rarely take the time to stop and enjoy nature, but everything slows down when you are on holiday. While staying at our charming Corfu hotel make time to catch a beautiful sunrise or sunset, smell the fragrant flowers or simply appreciate the fresh unpolluted air and its heady natural scent.